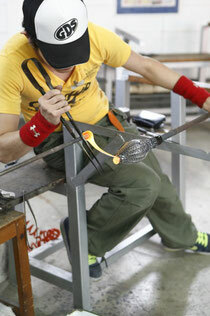 about me - glass-tatsu web-site jimdo page! The glass blower is. It is Tatsuya Niimura. It is a mind offering of a graphical, based on traditional technique of Italy beautiful expression. The container and objet with a rich color it and the originality are produced.